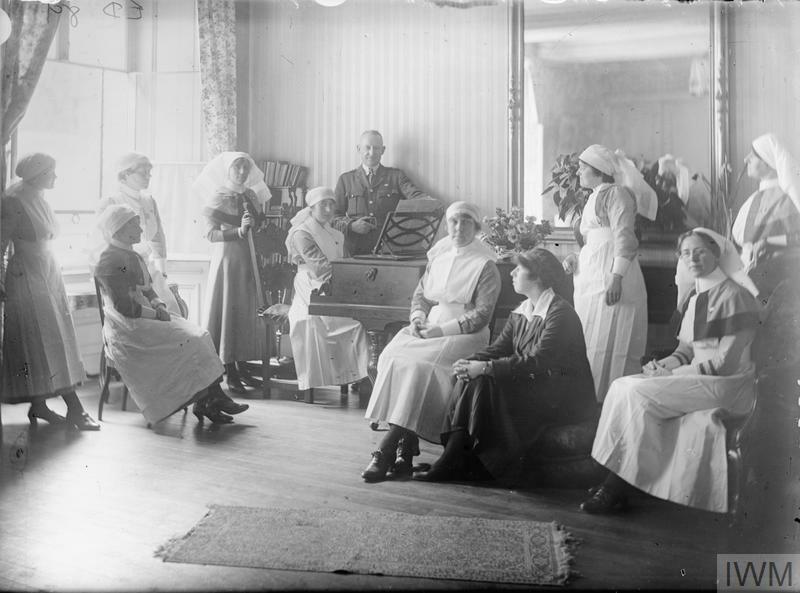 Patients at the Sister's Hostel, Abbeville. 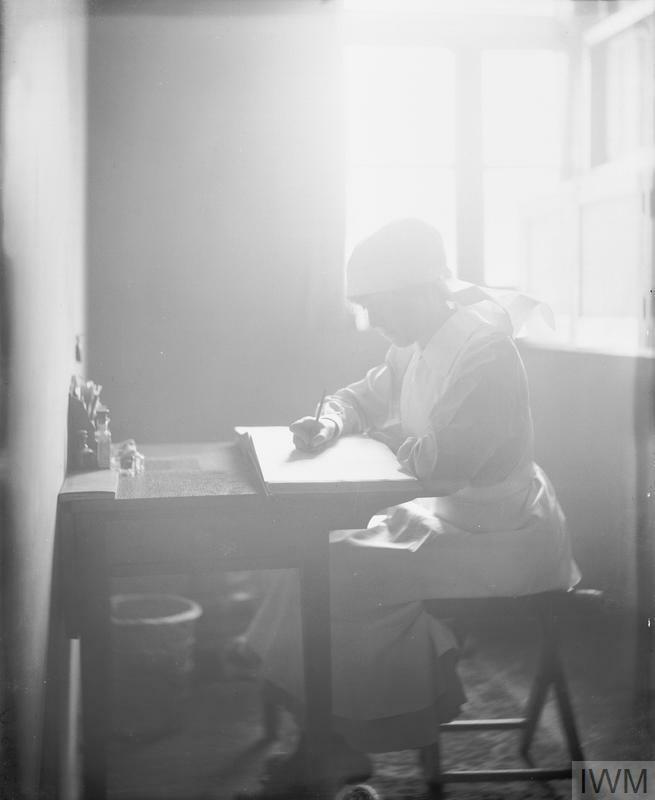 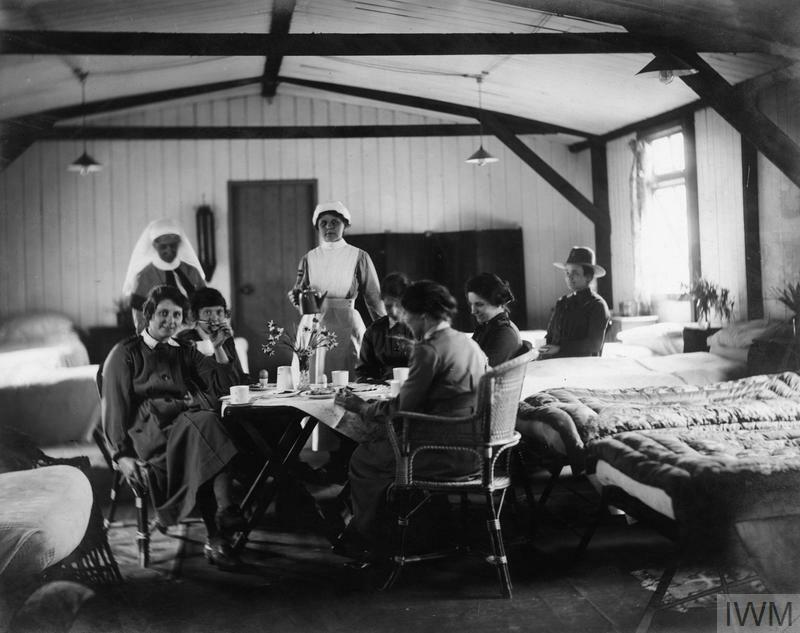 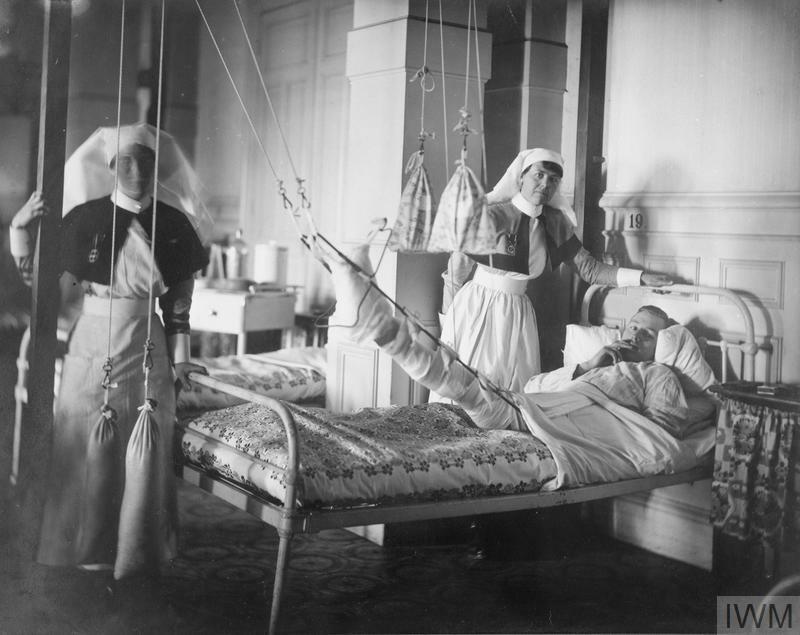 (Miss Loughron's Nurses' Rest House). 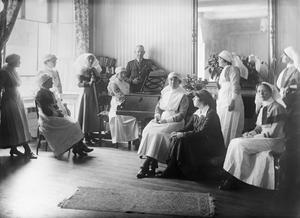 The Matron, Miss Loughron, and Major Galloway, Medical Officer.